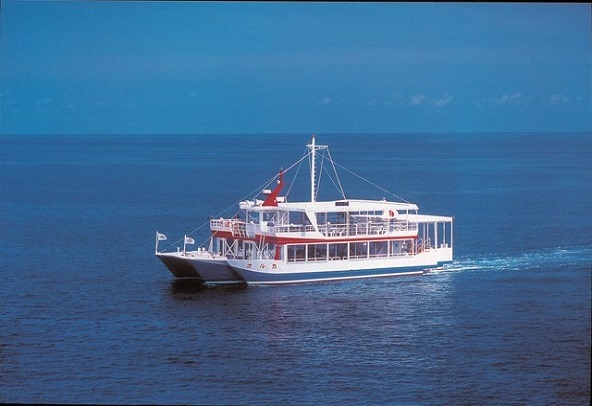 The biggest underwater tourist boat in Okinawa! 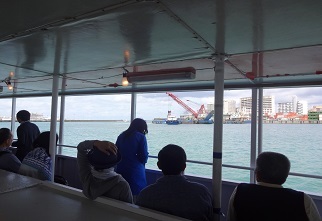 Enjoy watching multi-colored tropical fish through the glass at the bottom!From the port to the destination you can glimpse the under water world where marvelous tropical fish live in. 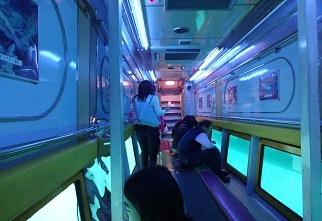 And at the point, spectacular show that various fishes create right through the windows will be unforgettable memory for you. No clothing-change needed or less shaking so anyone from a child to senior can be enjoyed as well. 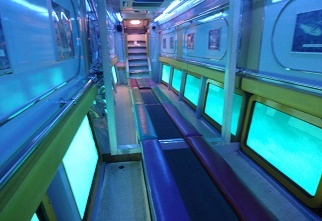 50 minutes of duration and operating 5 times a day will make you feel free to stop by. *Arriving at least 20 minutes prior of your departure is required. 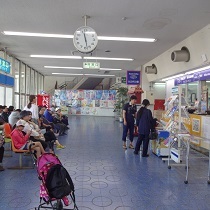 10 minute drive from the Naha Airport. 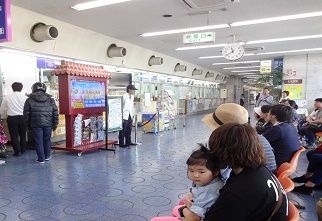 The Naha Port passenger waiting lobby / Near Asahibashi monorail station. *Schedule is subject to change according to weather condition. 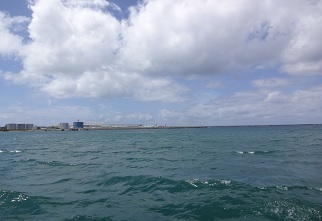 Head north on Highway 58 from Naha airport ensuring to stay to the left alongside the water. 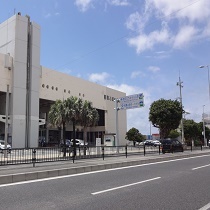 This is the direction that you will need to go in order to get to Naha port.As you drive along the road, you will notice a large building on the left once you make a left after crossing a bridge over a canal. 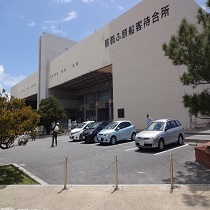 From there, you will need to turn left so that you can access the parking lot. After parking the car, just enter the building: don’t worry about getting lost, there will only be one. 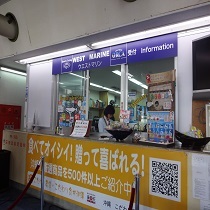 Find the marine counter located at the very end on the left side of the building. 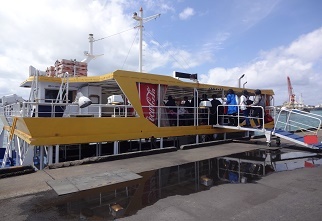 Make sure you still have the yellow voucher given by the staff at the counter as you pay for the glass-bottom boat ride. 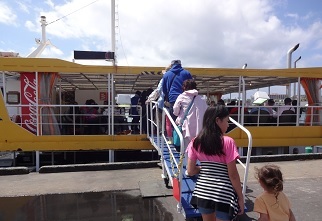 If you bring children along, it’s recommended to have them use the bathroom right by the counter before departing so that you won’t have to struggle to use the small toilet on the boat for them. The staff will come out like 10 minutes prior in order to give instructions before the ride. 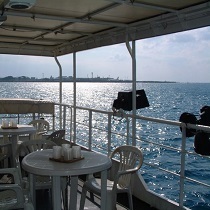 After which, you’ll be guided outside where the boat awaits. 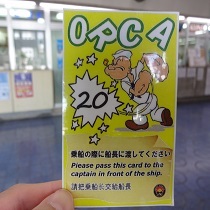 You don’t have to wait in line in the order as your voucher states, just give it to the staff when aboard. 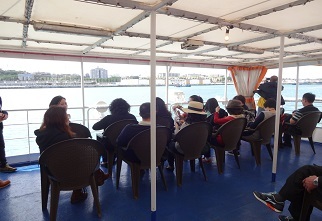 The boat has two stories: you may be led to the first story when the second deck is loaded with tourists from other Asian countries. 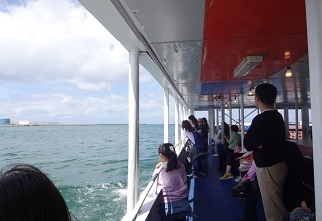 There is plenty of room to sit, but you may want to choose to stand right by the wall to enjoy the cold splashes of the sea water. 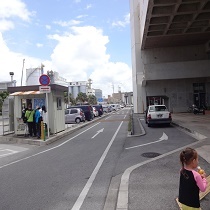 You will be able to see airlines waiting at Naha airport over the water as well. 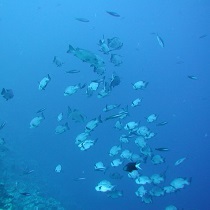 About 15 minutes from the dock is the point in which you’ll be able to encounter underwater life. 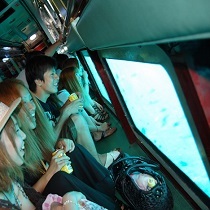 While enjoying viewing the sea creatures the staff will tell you interesting facts about them. 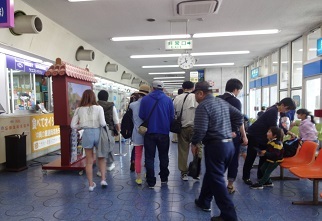 Why not take some time to witness something new that lurks beneath Naha’s waters?